Pay attention, consumers and business owners. Google My Business is doing its absolute best to make your lives easier this holiday season. 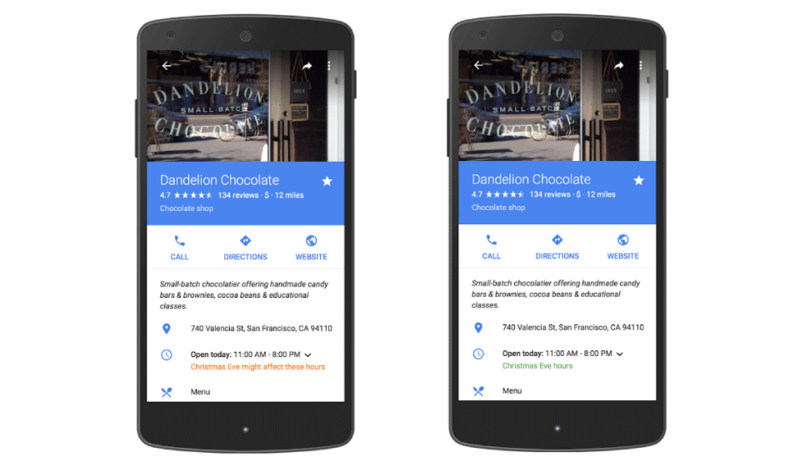 A couple weeks ago, Google introduced holiday hours to Google Maps and Google Search results. This update is designed to improve communication between consumers and local businesses. In other words, Google is hoping to decrease the amount of frustrated consumers left out in the cold due to a business’s limited holiday hours. Now, when you search for a business and a major holiday is within the next seven days, you’ll see whether a particular business has a special holiday schedule. And let’s be honest, the holidays make for some pretty weird hours of operation. While the official Google Maps blog seems to focus on the benefits for consumers, there are also obvious advantages for small business owners. There is no better way to sour a potential relationship than by listing inaccurate information online. In fact, according to a survey from Infogroup, 85 percent of consumers say they are unlikely to return to a business if core information such as the address or hours of operation, were wrong in local search results. Why such a short leash? Well, to consumers, this micro-moment becomes a reflection of your entire brand. If your business can’t even get its hours of operation correct, where else is it falling short? 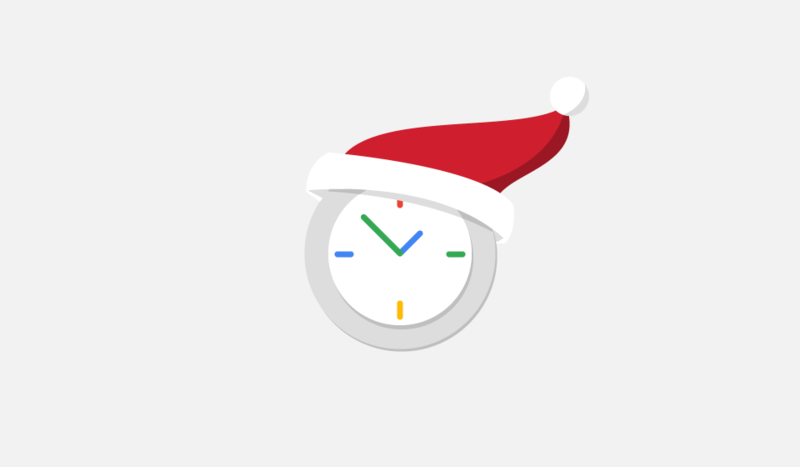 To assist all the small business owners out there, Google My Business has created a comprehensive help document that gives you three methods for setting special holiday hours. However, it’s important to point out that your business must already have its regular hours set. This means that your Google My Business page must be claimed and optimized before submitting special holiday hours. If your business's local listings are not claimed, check out our local search marketing plans to see how we can help. It’s also important to note that this update could affect businesses that don’t have special holiday hours. If your business hasn't listed its holiday hours then your Google My Business page will display a warning message (see above) alerting the searcher that the actual hours may be different because of the holiday. While this disclaimer may seem like a minor detail, it could be the difference in whether a searcher chooses your business or goes elsewhere. It's our recommendation that your business specify's it's holiday hours even if there is no change. This will ensure that customers are receiving accurate information.